Happy Mask Wednesday! 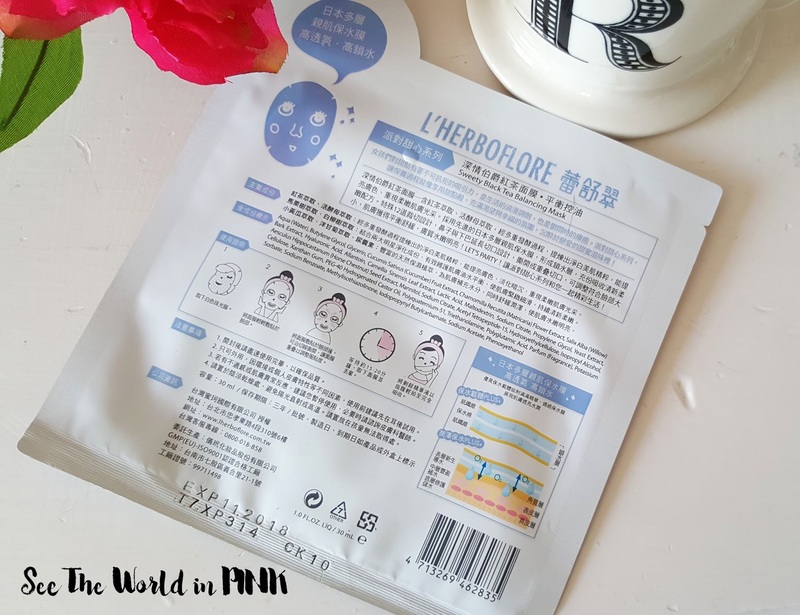 Taiwanese beauty is slowly becoming more popular in Canada - and I have featured a few t-beauty masks before! One of the most recognizable brands is L'Herboflore - their mission is to offer high quality skincare at affordable prices! They work meticulously to make sure every detail including packaging, material and ingredients are the highest quality! Their mask material is thinner and provides a better fit in order to allow the best absorption of ingredients! 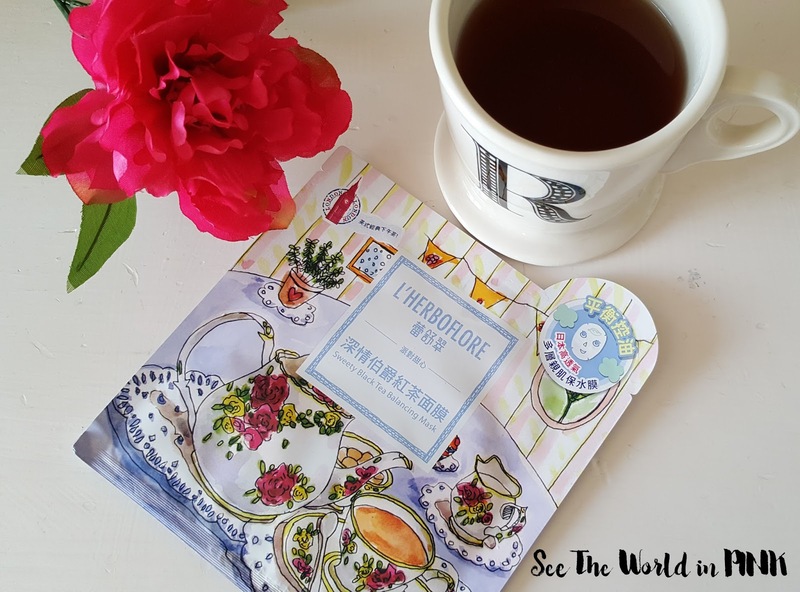 L'Herboflore Party Sweetheart: Sweety Black Tea Balancing Mask ~$3.00. A skin-balancing sheet mask formulated with Horse Chestnut and White Willow extracts to purify the skin and restore the oil-water balance in the skin. Formulated with Black Tea extract and Yeast extract, the sheet mask helps rejuvenate dull skin for a brighter complexion! Perfect for combination and oily skin types. I actually just heard about how amazing the ingredient Horse Chestnut is for the skin, so I am excited to try this! This mask is used like all other sheet masks - wash face, tone skin, apply mask to face, leave on for 15 minutes, remove mask, pat remaining essence in to skin, and complete skincare routine! This mask comes with a little extra that I applied before the mask. Also, the mask is well soaked in essence and applies really easily to the face. I love the fit of this mask - the material is nice and thin and there is plenty of side tabs to help this fit really well. While this mask only suggests 15 minutes, I wore this for almost an hour before the essence was all absorbed which is great! This mask delivered in brightening and balancing my skin! I was happy with those results; however, this mask is not nearly as moisturizing as I prefer. I know it isn't made for drier skin so I can't always expect those to be moisturizing. This would be a perfect brightening mask for oily skin. I will keep using L'Herboflore masks but may just try different types!